Product description: Bromochloro-5,5-dimethylimidazolidine-2,4-dione (BCDMH) Chemical name: Bromochloro-5,5-dimethylimidazolidine-2,4-dione CAS NO. : 32718-18-6 Molecular formula: C5H6BrCLN2O2 Structural formula: Molecular weight: 241.5 Properties: white or off-white crystalline powder, slightly dissolved in water,dissolved in chloroform,ethanol and other organic solvent,easy to decompose in strong acid or alkali,stable in dry state. Having slight irritation odour. 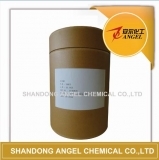 Uses: mainly used in the disinfection of industrial circulating water, swimming pool, oil field water, spring, hospital sewage, medicinal facilities, aquaculture, food process, hotel, home, warehouse, custom and epidemic-stricken area. Quality index(company standard): Item	Index Top-grade	Qualified product (BCDMH) Bromochloro-5,5-dimethylimidazolidine-2,4-dione Mass fraction of , % (≥)	98.0	96.0 Mass fraction of bromine, %	31.0～35.0	31.0～35.0 Mass fraction of chlorine, % 155～162	155～162 Melting point, οC Loss on dry(60οC,1h)% ( ≤)	0.50	0.80 Chroma, YID1925 ( ≤)	7.0	--- Insoluble in chloroform, %(≤)	0.50	--- Type of commodities: Tablets:20G/Tablet, 80G/Tablet granule: irregular granule from 8mesh to 30mesh powder Packing: This product is sealed in paper-plastic multiple bag with lining of two PE bags,net weight:25Kg,flake product packaged in 25Kg paper sheet barrel with PE bag lining.This product should be stored in shady dry environment and forbidden to be stored with poisonous or harmful material,preventing from pollution. If you have any demand about my products. please enquiry me sophia at kaihongchem dot com. Lingang Industrial Park, Weifang Binhai Economic Development Zone.